Tangerine Dream’s new studio album Quantum Gate is due for release on September 29th 2017, coinciding with the 50th anniversary of the foundation of the band. 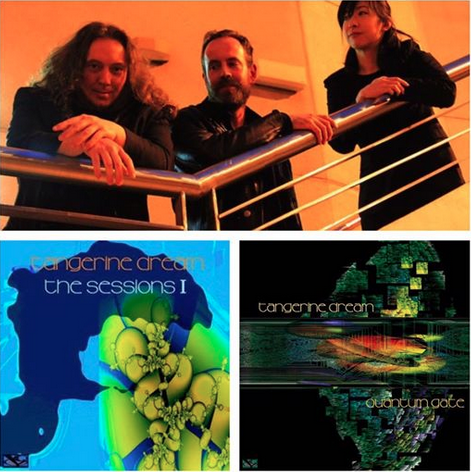 In late summer 2014, Edgar Froese, Thorsten Quaeschning, Ulrich Schnauss and Hoshiko Yamane began to work on what was planned to be the first album of Tangerine Dream’s Quantum Years – a new phase of the band that Edgar wanted to use to introduce a couple of substantial changes. Consisting of himself, long term collaborator Thorsten Quaeschning (synths), violinist Hoshiko Yamane and new member Ulrich Schnauss (synths), the Quantum Years promised an updated, contemporary take on the band’s trademark sound of the 70s and 80s: sequencer-driven electronica covering a wide range of moods and atmospheres from ambient soundscapes to energetic, upbeat moments. Non-musical ideas relating to the field of quantum physics and philosophy had inspired Edgar to attempt a translation of these concepts into music.